Her technical contributions at NASA aided Alan Shepard and John Glenn’s space missions. She was awarded the Presidential Medal of Freedom in 2015. Taraji P. Henson portrayed her in the Oscar-winning movie Hidden Figures in 2016. Now, she’s getting her own doll. Mattel is honoring Katherine Johnson and Britain’s most successful female boxer, Nicola Adams—along with 15 other women with their own specially designed Barbie dolls. Like it had done in the past with Ava DuVernay and Misty Copeland, Mattel is releasing more one-of-a-kind Barbies made in the likeness of women who have broken boundaries in their fields and have been inspirations to the next generation of girls. “As a brand that inspires the limitless potential in girls, Barbie will be honoring its largest line-up of role models timed to International Women’s Day because we know that you can’t be what you can’t see,” said Lisa McKnight, SVP and general manager at Barbie. 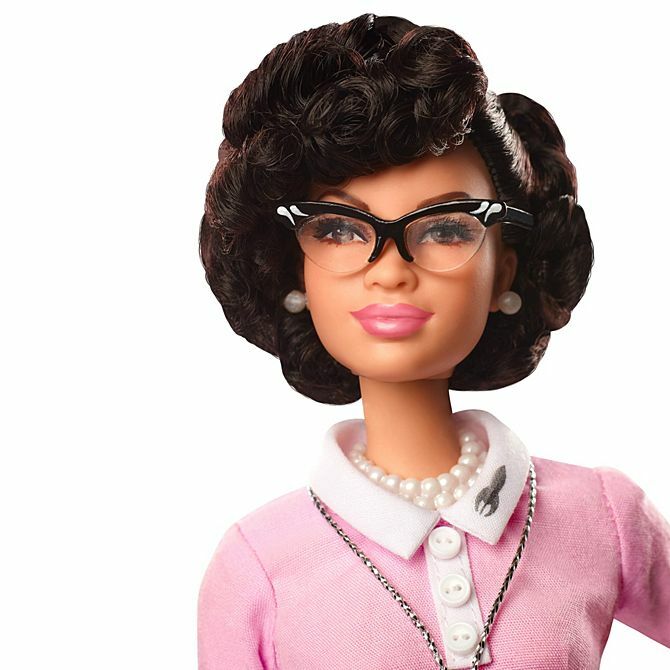 Johnson’s replica is one of three “Inspiring Women” doll series that Barbie is releasing that will come with educational information about the contributions that each woman has made to society in their respective fields. Adams, 38, won the 2012 and 2016 Olympic gold medals in the flyweight division and is the first openly LGBT person to win an Olympic boxing gold medal. She was named the most influential LGBT person in Britain by The Independent in 2012 and is the only female boxer in the history of the sport to have held all four amateur titles. Although Mattel hasn’t released all of the dolls for sale, the multinational toy manufacturing company has introduced Barbie with varied body types, sizes, and skin tones as part of an effort to modernize the brand. “Girls have always been able to play out different roles and careers with Barbie and we are thrilled to shine a light on real-life role models to remind them that they can be anything,” McKnight said.